A few days ago, I posted a photo on my Instagram of my living room. 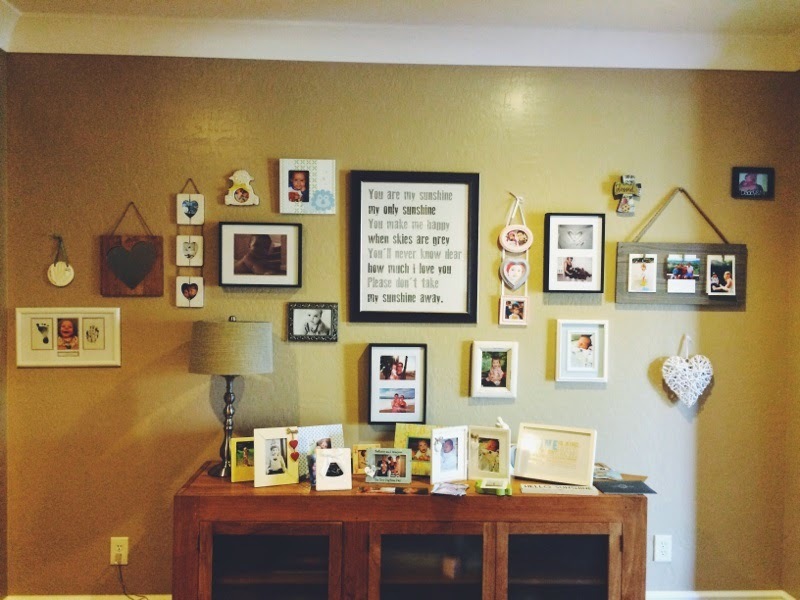 I got so many kind compliments about my décor that I wanted to share the steps to create a photo wall you love, a wall of memories to make your home unique to you and your family. 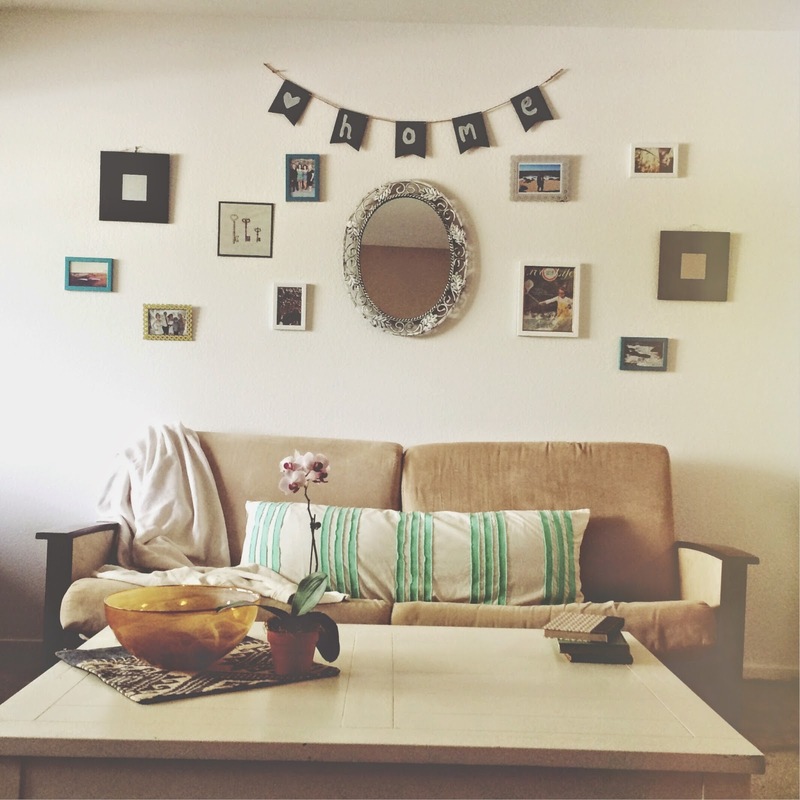 Photo walls are an easy and affordable way to add some personality to your home. The task can be daunting if you have no idea where to start, so here are some tips I have picked up along the way. -Find inspiration. Browse Pinterest, your favorite design magazine, your friends' homes, and anything that catches your eye. 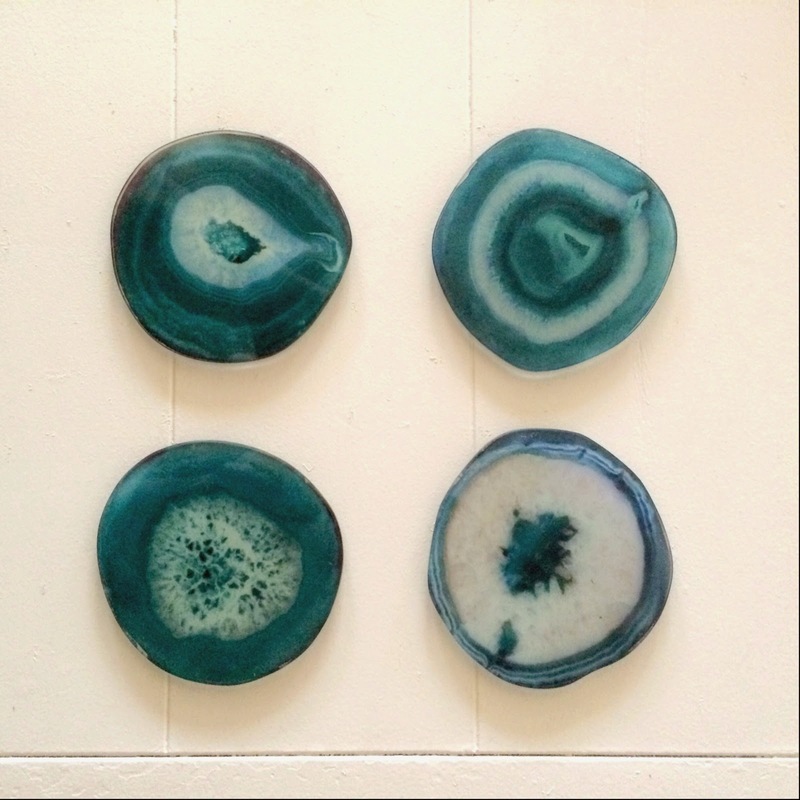 If you are in love with a time period, or a certain color palette, start searching for things that are a reflection of that. -Once you have your inspiration, shop thrift stores, garage sales, discount stores like TJ Maxx, Ross, and Burlington Coat Factory. 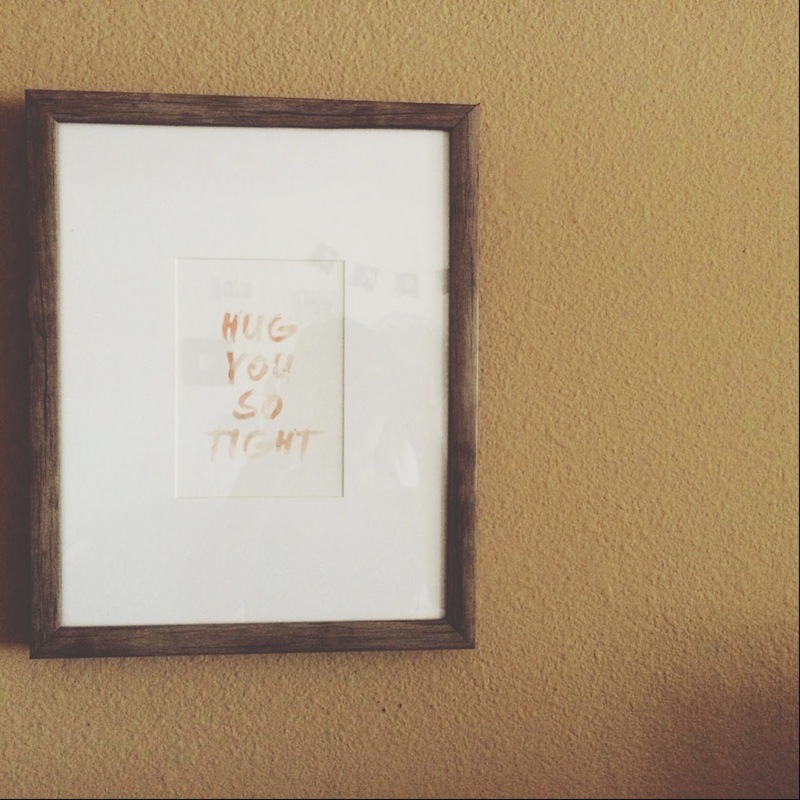 One of my favorite homes belongs to Yvette Riggott, and nearly all of her frames are from discount stores. 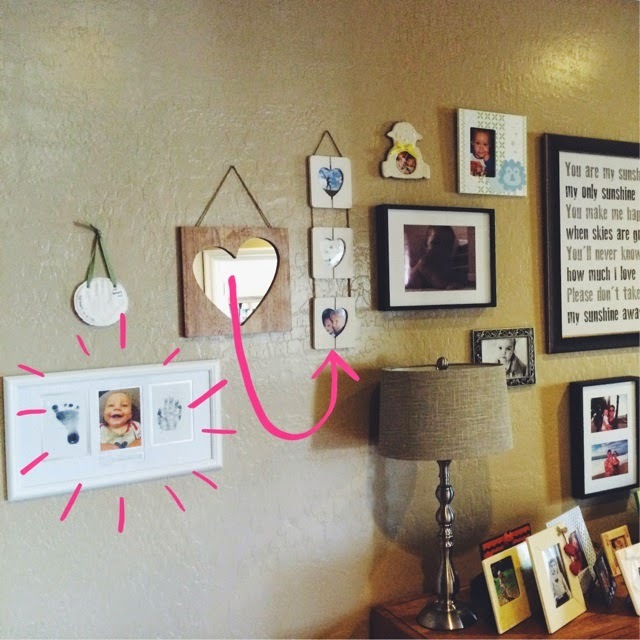 Proof that you don't need to spend a lot to make your wall look expensive. - Pick a layout. 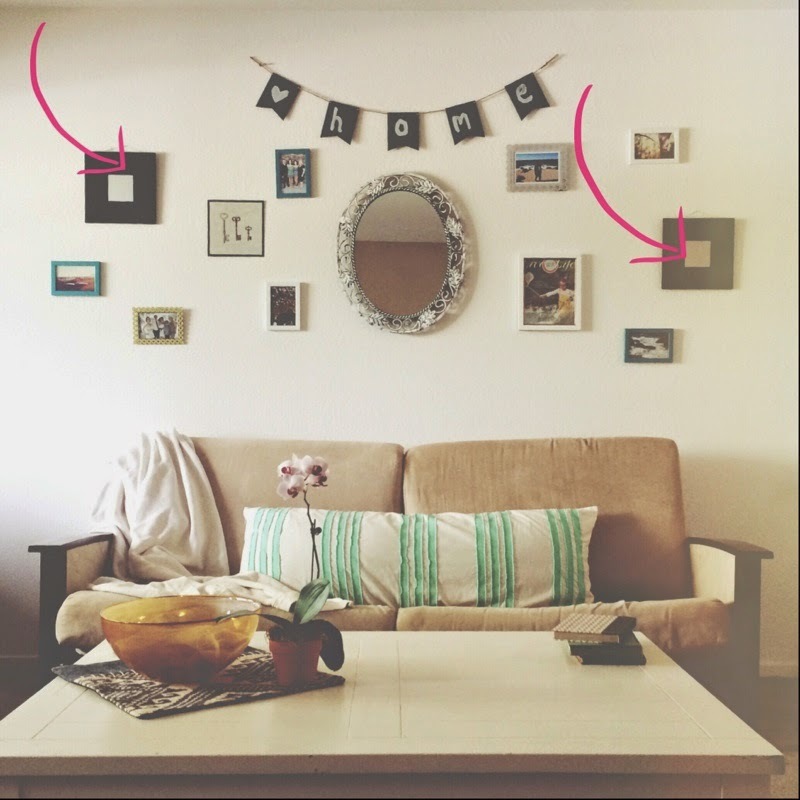 I think the easiest way to do this is to layout the frames exactly where you want them on the ground in front of the wall, and then you can swap and flip anything you don't like before you nail it on the wall. -Pick a focal point. On my wall, I choose a mirror. I specifically like doing mirrors in smaller spaces because I feel like it creates an illusion and makes the room seem larger and more open. Yvette's wall has a canvas quote frame. -If you don't have an extra set of eyes when hanging up your wall, patience is key. I am terrible at taking my time with projects, but there are definitely steps to speed it up. First, hang the center frame. Once you've done that, you basically just want to create balance. The great thing about photo walls is that not everything has been to be parallel. -Add something unique or special to you. Yvette's wall features her sweet babe's hand/foot prints, on mine I painted "home" on a blackboard twine banner. Go with a common element, like Yvette's heart mirror and frames. 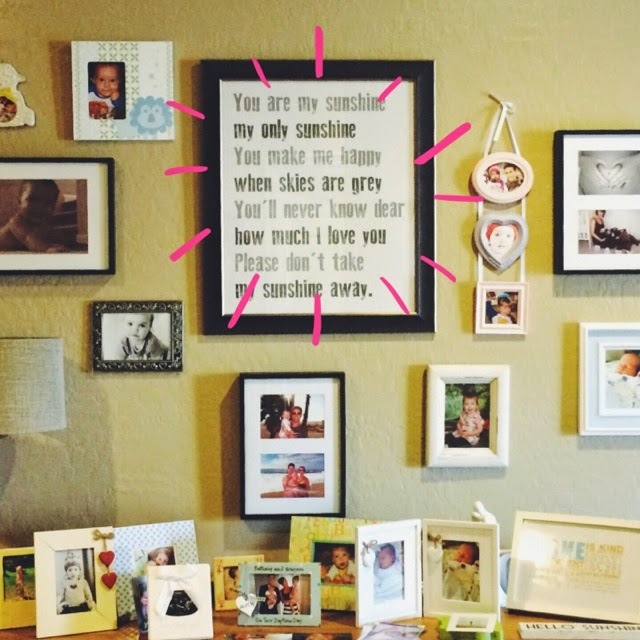 - You can print quotes, prints, abstract graphics, there is no rules! - Have fun! 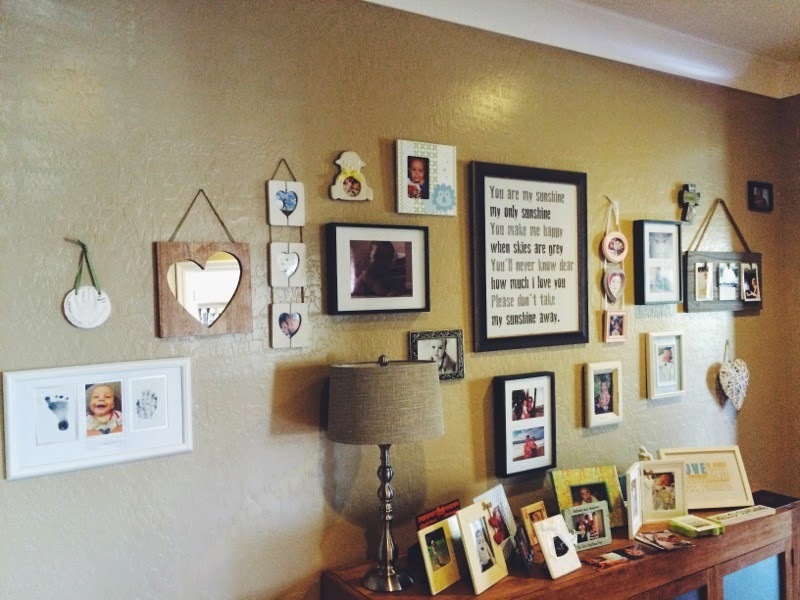 This is your little wall of memories, and things that matter most to you. love it, the toothpaste idea is brilliant, can't believe I never thought of that! The toothpaste idea is SO smart!